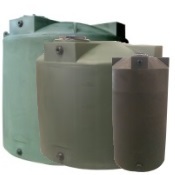 CRMI-50RT | Quality tanks can be affordable too. 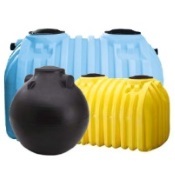 All of Custom Roto-Molding, Inc. products, like these utility tanks, are built to last, provide high-performance use and are available at an affordable price. 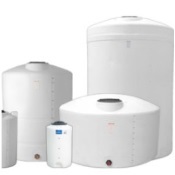 The polyethylene resin that makes up these tanks is UV stabilized to extend longevity. 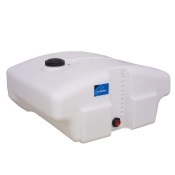 Ideal for farm use, these tanks can hold a variety of contents ranging from agricultural chemicals to water. 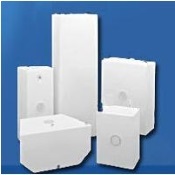 The resin meets FDA requirements and is safe for potable water and liquid feed. 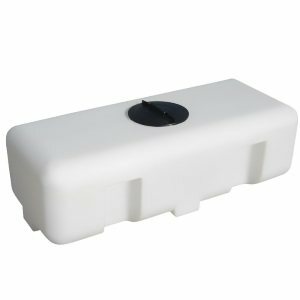 These tanks are equipped with an 8-inch vented lid which provides access for cleaning and filing. 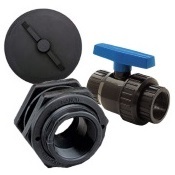 The 2-inch drain fitting allows you to empty contents when necessary. 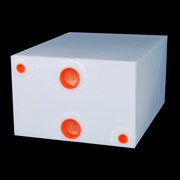 For added stability and support, these tanks are designed with large, molded-in grooves. This is a 2.0 specific gravity tank.